Officed in Denton Texas, the family law attorneys of the Gary Kollmeier Law Firm serve clients from Denton, Lewisville, Flower Mound, Highland Village, Corinth, Hickory Creek, Lake Dallas, Copper Canyon, Double Oak, Carrollton, Hebron, Frisco, The Colony, Argyle, Bartonville, Roanoke, Trophy Club, Northlake, Sanger, Pilot Point, Aubrey, Krugerville, Oak Point, Little Elm, Providence, Savannah, Lincoln Park, Navo, Oak Point, Little Elm, Shady Shores, Corral City, Justin, Ponder, Stoney, Krum, Bolivar, and Denton County, TX. The Law Office of Gary A. Kollmeier has been dedicated to providing competent, caring legal services since 1991, with honesty and integrity. As a lawyer, Gary Kollmeier is committed to high standards, as evidenced by his certification as a Family Law Specialist by the Texas Board of Legal Specialization and his training as a Mediator and Collaborative Lawyer. This extensive experience allows for better service to clients who may be going through the difficult and emotional process of separation, divorce, and child-custody determination. Gary believes that it his duty to provide comprehensive, superior, and respectful advocacy. 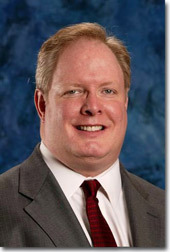 Gary believes that his clients deserve his full attention and loyalty and the highest level of legal service. Gary is committed to personal service in his relationship with his clients. 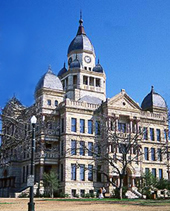 For more than 19 years, Denton County lawyer Gary Kollmeier has been providing family law representation to Denton County Texas residents and surrounding areas. At the Law Office of Gary A. Kollmeier, our approach is different. From the consultation forward, Gary A. Kollmeier will help you, the client, conceive, develop and implement a strategy geared to achieve your goals. Contrary to other family law firms that stress litigation and focus on cookie cutter litigation, our focus is on executing a winning strategy built specifically for your case. Our goal is to help you set the stage to “win” your case - and your confidence. Family law cases seldom see a “winner” and a “loser.” By their very nature, family law cases start out with misfortune, a break up, a divorce, or even a death. From that point forward, the parties are trying to pick up the pieces of the crisis and move forward with their lives. Since over 90% of all cases eventually settle, a strategy that incorporates this likelihood is usually the most effective. It is always our priority to advocate for our clients' best interest and the best interest of the children. It is our focus to educate our clients about the reality of what to expect in their legal case.